Product placement in movies is big business, since nothing sells goods like more eyes seeing them. This holds true regardless of the product, which is why automakers are scrambling to get their wares up on the big screen, next to soft drinks and portable electronics. If you saw The Avengers, which also featured the Tony Stark / Iron Man character, you know that Acura-branded vehicles were prevalent throughout the film. The latest Die Hard movie, A Good Day To Die Hard, was very close to an infomercial for Mercedes-Benz, as some 14 different three-pointed-star models were used in filming. Audi had something of a minor role in earlier Iron Man films, and it looks like the four-ring brand will be back in Iron Man 3. Tony Stark (or Robert Downey Jr., playing the character) is seen behind the wheel of an Audi R8 e-tron, while his significant other Pepper Potts (played by Gwyneth Paltrow) drives an Audi S7 Sportback. 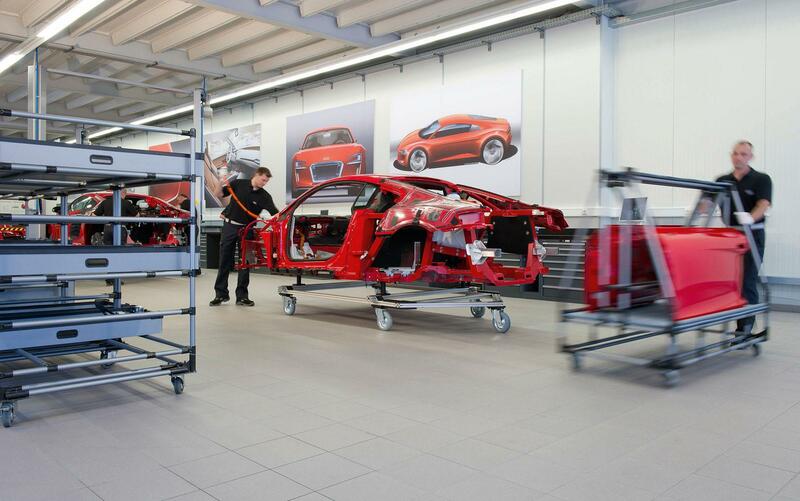 Somehow portraying the meticulous build process of an exclusive sports car is suppose to be entertaining. 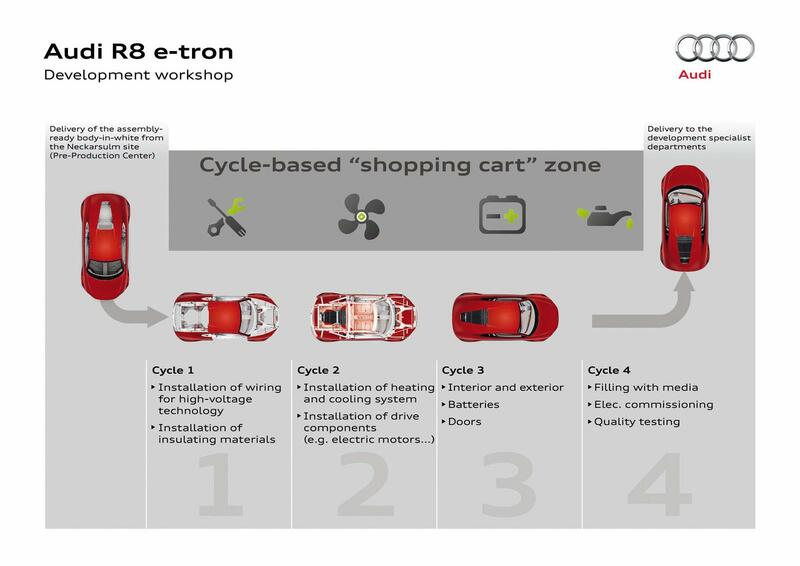 I actually agree that it is, which is probably why Audi has released a ‘behind the scenes’ look at the Audi R8 e-Tron production. 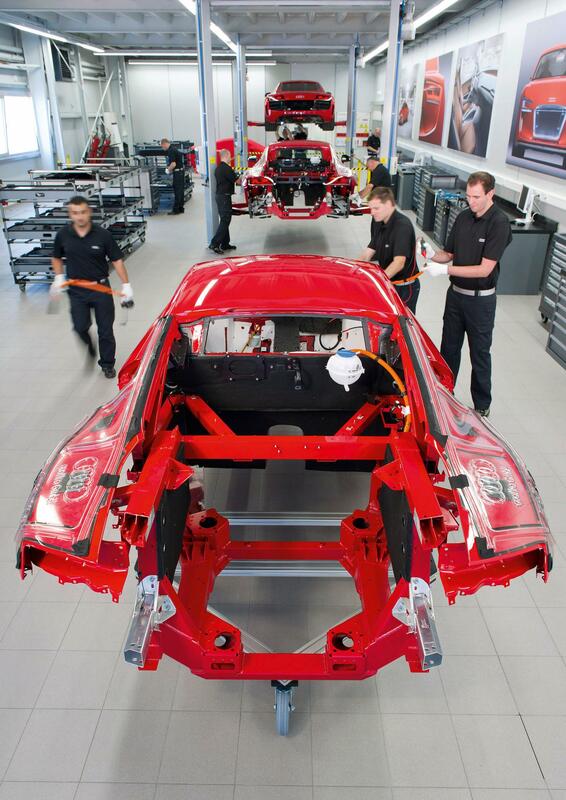 Currently the new Audi R8 e-Tron is being built in a small pre-production run at the Neckarsulm, Germany Audi factory. The new R8 e-Tron will feature 308 horsepower (230 Kw) and 3,319 pounds-feet of torque from its 4 electric motors. The power is provided by a 53 KWh lithium-ion battery. 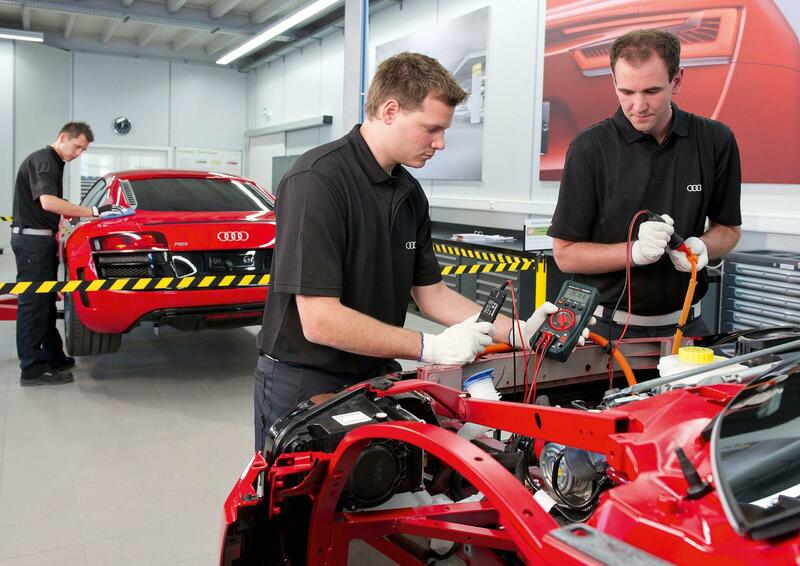 This combination will accelerate the e-Tron from 0-62 mph in 4.8 seconds and top out at 155 mph.